I’m often asked what Thai massage is. The answer is simple, for most people in the west, it’s the best bodywork you’ve never had. I stumbled onto the work 8 or more years ago and little has changed my life so fundamentally other than yoga. The two practices are the most healing regimens I’ve discovered in the past ten years of scouring the planet. Healing comes from within and both practices help you cultivate, increase and channel your own healing potential. Swedish and deep tissue are the most common forms of bodywork in the US currently. In 20 years or less I believe Thai massage will be as ubiquitous as what you receive at any spa or chiropractors office. As I try to write this blog post I recognize that anything I say about Thai massage, doesn’t even remotely do it justice. It’s the best. My Thai massage classes start with an Intro. to Thai massage class that’s 14 hours. 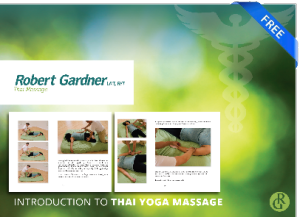 This introductory class is a solid get to know you but my full training encompasses not just traditional Thai massage as taught in Thailand but a blend of western bodywork like trigger point therapy, rehab exercises and a full gamut of information related to pain management and spine rehabilitation from 8 years as a yoga teacher. Where does the yoga end and the Thai massage begin? Chicken or the egg? You can study Thai massage in many places. You can only study what I do, with me. I’m helping shift how bodywork is practiced in Austin and the rest of Texas. When I am old, I wish for people to thank me for helping them when no one else could. I want students to cherish what we’ve shared and allows them to help others, build careers as healers and saved their hands all at the same time. I want both to understand that I’ve put humans above profit and healing above all else.